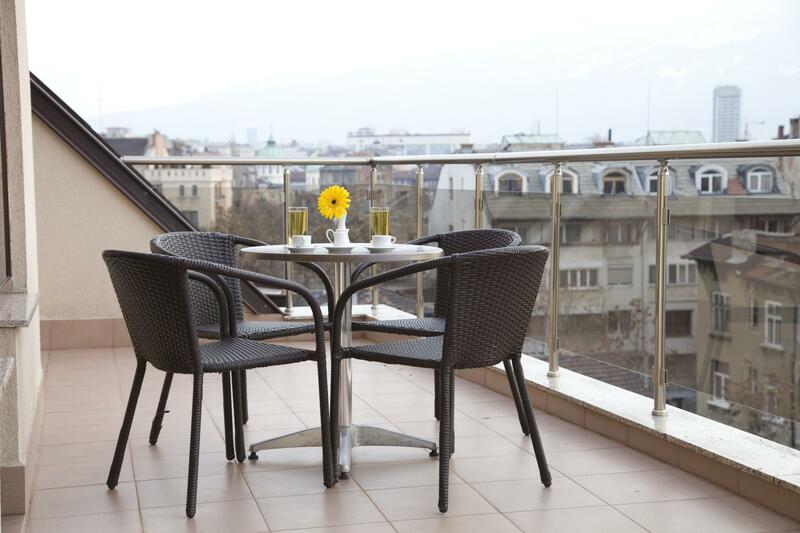 The central location of Hotel Favorit allows for easy access to many of the key sights of Sofia. Our restaurant has a capacity of 40 seats and welcomes its guests with a unique decor, creating a pleasant and calm atmosphere. It is the ideal place for meeting business partners or relaxing with friends. Bulgaria offers everyone to discover their favorite place, which will capture the heart with the charm of nature and the spirit of intertwined traditions. Are you a pleasure traveler who wants to come and discover the stunning sights of our traditions and culture? Maybe you have business plans to carry out for a time, don’t you? And need a place where to have a meeting with your partners and later – to have a nice rest? The answer is here, with us being your host! For a week or two, be like at home whenever you need it. Hurry up, pack your bags and book your stay with our Long stay offer! Book directly via our online reservation form with Promo code „LONG2019" and you will receive the most competitive price. The offer is valid throughout the year for 7 nights and up and discounts cannot be combined with other promotions and discounts.